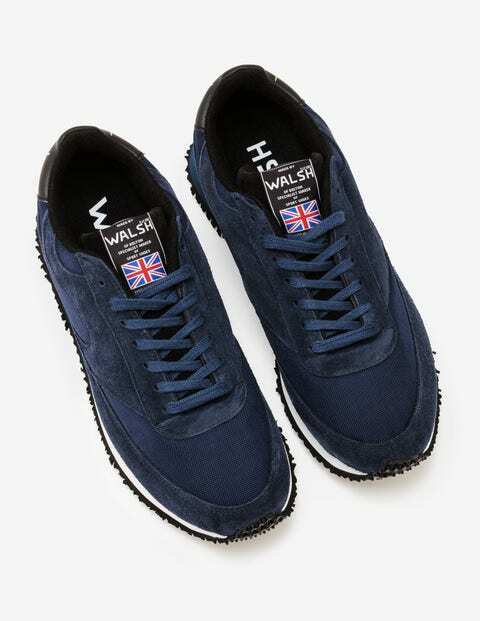 We’ve collaborated with British trainer designer Norman Walsh to bring you stylish footwear with a whole lot of history. Originally created for the 1984 British Olympic team, these have come straight out of the original Bolton factory, where they’re carefully made with traditional techniques. Iconic, with a retro feel, these can handle anything from a marathon to a Monday morning meeting.